: Cost of Clubstore Outlet Franchise? How Much Does It Cost to Own a Clubstore Outlet's Franchise? Owning a Clubstore Outlet franchise can be a lucrative business, but it does have some initial financial requirements. To open a single franchise location, the company requires that potential franchisees have liquid assets of at least $50,000. Clubstore Outlet falls under the 'food' and 'retail' franchise categories. Across these multiple categories, it is further subcategorized under 'children's clothing', 'jewelry, fashion, and beauty' and 'clothing store'. See how the investment level of Clubstore Outlet's compares to those of other available franchises. 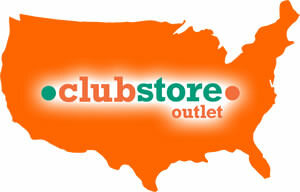 Clubstore Outlet has been operating since 2008 and has over 20 locations in 10 states. With over 50 years of retail experience, we purchase high quality overstock and returned product from well-known big box retailers and wholesale clubs at 65-90% discounts. Clubstore Outlet is not currently accepting new franchise inquiries through this site. Please see our comprehensive directory for currently available franchises near you.